Richard II opens in a big grey box. It is Richard’s prison cell, flanked by gun-metal grey walls and grated floors, filled with muted tones, buckets, and emptiness. 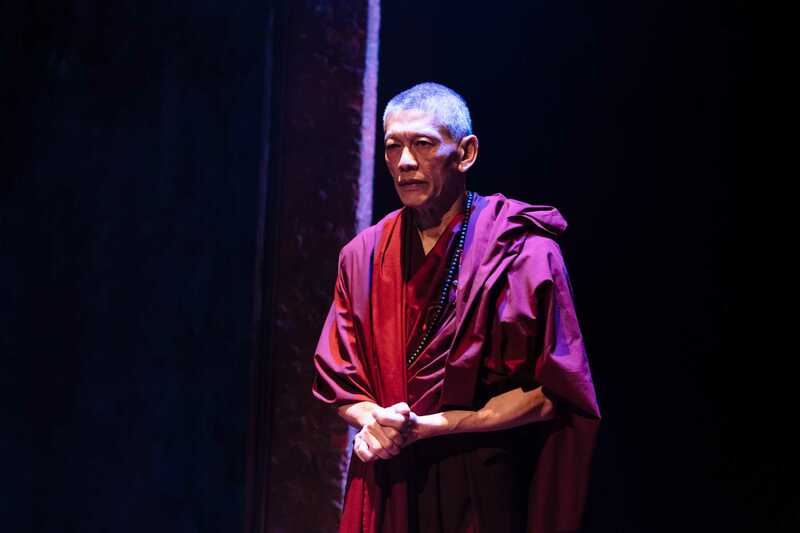 Richard opens with a monologue duplicated from its original home later in the play, and it’s the clear genesis of the key idea behind the production: a kingdom within a cell, as Richard relives his fall from power from his confinement in the tower.. 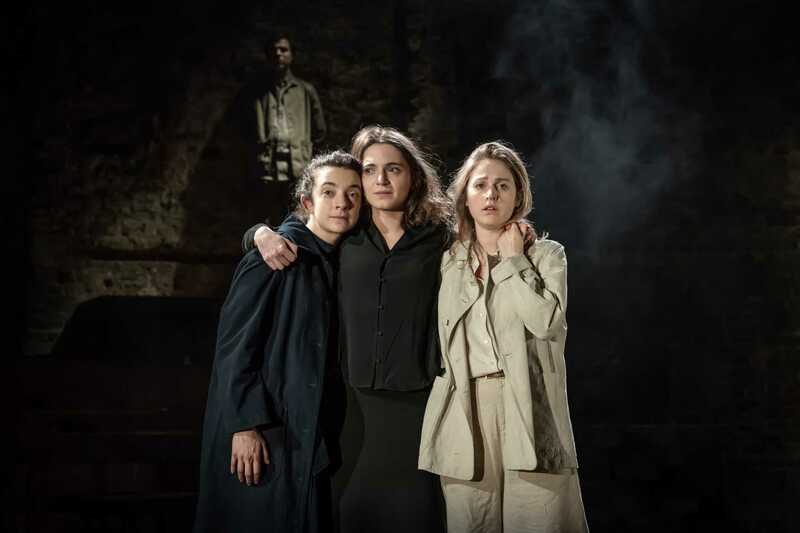 Except this isn’t “Richard II” – it’s “The Tragedy of King Richard II”: this production chooses the full Shakespearean moniker rather than the shortened title which has become more and more popular. That’s a pretty inane thing for me to comment on, but it does seem an odd choice. There’s certainly nothing about this heavily truncated adaption that reflects its title’s long-windedness. And for a self-proclaimed tragedy, it’s pretty funny. 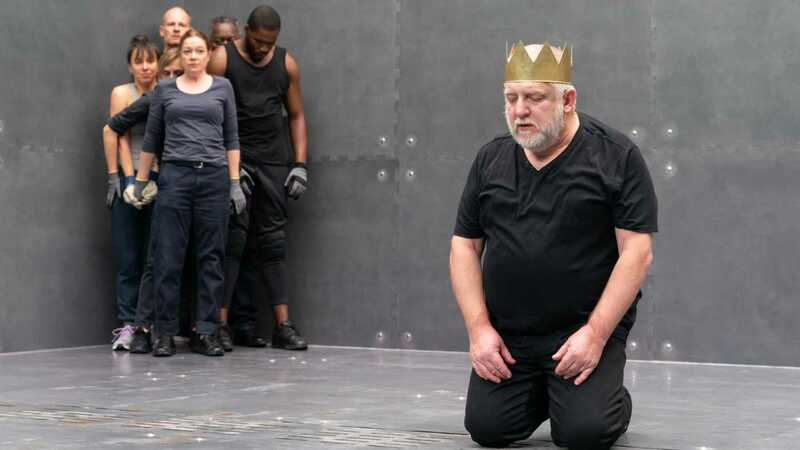 With Simon Russel Beale in the title role, that’s not particularly surprising – he brings trademark vibrant yet sardonic energy to the stage and develops a subtle but tangible rapport with the audience. A multi-rolling ensemble act out the bickering, infighting court, decimated by director/adapter Hill-Gibbins ruthless cuts, and they too are at their strongest during their comic moments. But then, for a self-proclaimed tragedy, it’s also not that sad. Lacks emotional oomph. There’s a tonal inconsistency here that is blurring rather than jarring or contrasting. The funny bits aren’t sustained enough to make the emotional slaps sting, and the tension not built heavily enough to give the comedy anything to release. There’s a lack of stakes which makes the whole thing slip away; plenty of people die in the play, but the blood-buckets used to dispatch them feel closer to a bad ending on Get Your Own Back than an execution. And there’s a lack of depth, too, to all characters but Richard. With most of their backstory cut, the supporting cast surrounding him lack convincing motive, reduced to a pack of fairly indistinguishable lackeys that are as a rule mean-spirited, disloyal, and incompetent. It’s hard to feel sorry for any of them when their time comes. Even Richard falls foul of this, and his death feels as much comeuppance as loss. Shakespeare’s text is unavoidably politics oriented. And though Hill-Gibbins certainly not heavy-handed in the politics of it all, it’s pretty unavoidable: the two kings spend most of the play claiming legitimacy whilst the disloyal court blathers and bickers. 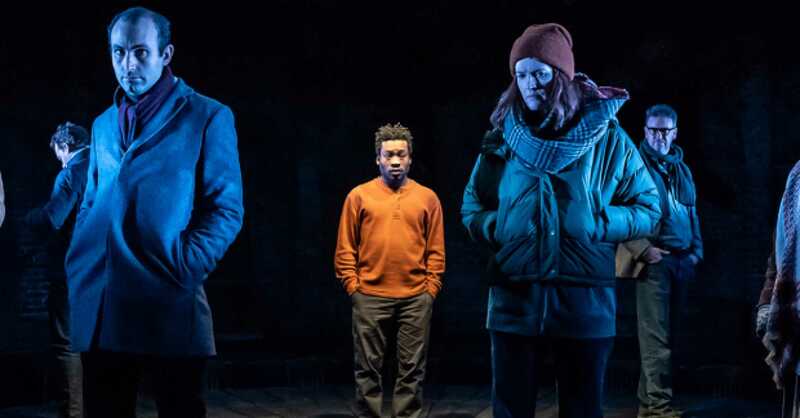 The marketing and programme notes for this production draw parallels with modern politics, but for me I’m not sure it worked in its favour – the most obvious parallel is that if I wanted to watch a cast of bickering idiots fight it out over ‘legitimacy’, I could tune into Parliament Live. It’s a tough criticism to level at Hill-Gibbins – and I wonder if I would have felt more sorry for Richard a few years ago, when I wasn’t so tired. I leave the Tragedy wondering what exactly the intention had been. It’s sad, but not painfully so; funny, but certainly not hysterical; interesting, but not fascinating – all the right primary colours, smudged evenly into one another. The result is a play as grey as the box it is set in. BeautyGoing beyond the “Januhairy” movement: Wave your arms in the air, if you’ve got underarm hair!